Here's our third and final look at At Work in Arizona: The First 100 Years, an Alliance Bank of Arizona book project that explores Arizona's economic history. The book is available at Alliance's Arizona locations and online with a donation of $100 or more. The donation supports education-focused nonprofit organizations in the state. 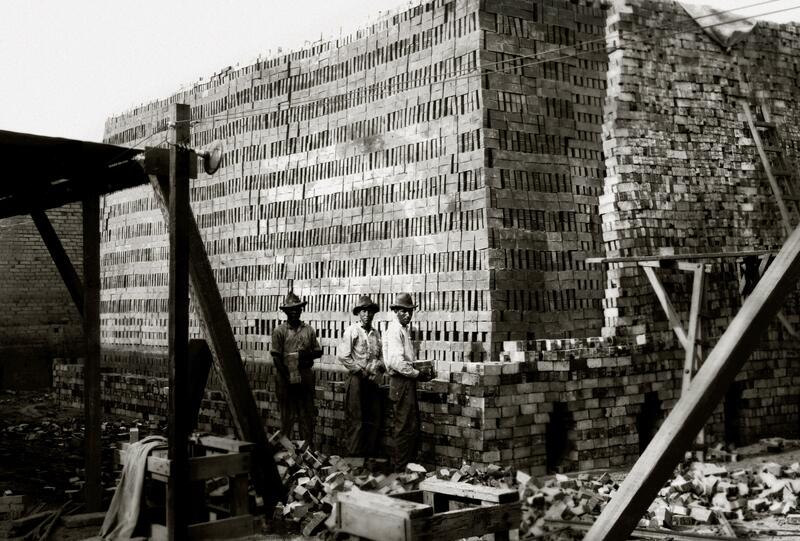 The Tucson Pressed Brick Company, located along the Santa Cruz River on the west side of town, provided affordable, fire-resistant bricks for homes and developments from 1908 to 1963. In the early decades, brick makers at the company built rectangular, coal-fired stove kilns of unfired bricks (pictured) to kiln them.